After the successful introduction of the Junkers Ju-87 dive bombers, there was a rush to for many air forces around the world to build their own dive bombers. While the Curtiss SB2C (Model 84) was the replacement for aging Curtiss SBC biplanes, the SB2U Vindicator and the Douglas SBD Dauntless dive bomber, it took a long gestation period to win over the air crews who had a strong attachment to the easier-to-fly and highly successful SBD Dauntless. 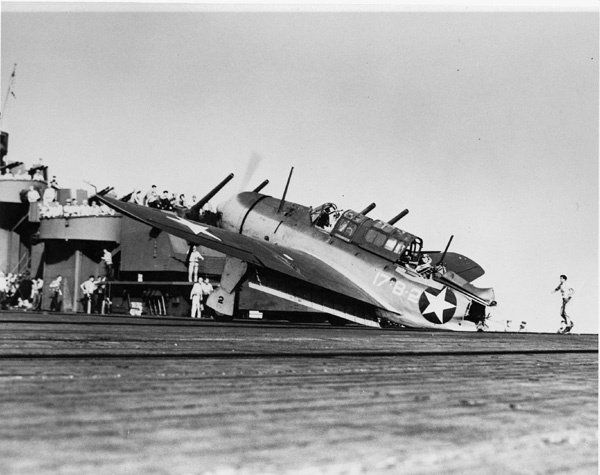 Compared to the Dauntless, the Helldiver had poor handling characteristics amongst a list of many complaints. •	The XSB2C-1 prototype crashed two months after its maiden flight, luckily the pilot survived. •	The SB2C suffered structural failures of loss of wings and tails in steep dives. •	A second test plane failed structurally during a dive, killing the pilot. •	The aircraft experienced landing gear failures during carrier trials in early 1943. •	Bounce characteristic prevented tail-hook engagement with the cross-deck cable. •	Tails were braking off on carrier landings. •	There were complaints of poor workmanship. •	There were problems with the Wright R-2600 engine and Curtiss Electric propeller. Design on the Helldiver began in 1938 and it was first ordered by the Navy on May 15, 1939 and designated the SB2C, Scout Bomber, Design Number 2. The plane was expected to represent a quantum leap in dive-bomber technology, however due to delays in design and delivery, it created a controversy and became a target of the Truman Committee on war profiteering.1 As a result of the plane’s initial faults, it was called the “Beast" or a more derogatory name which was a reinterpretation of the designation SB2C and nicknamed the “S.O.B 2nd Class.” However by the war's end, the SB2C would become a legend in its own right and would sink more tons of Japanese shipping than any other aircraft in World War II. 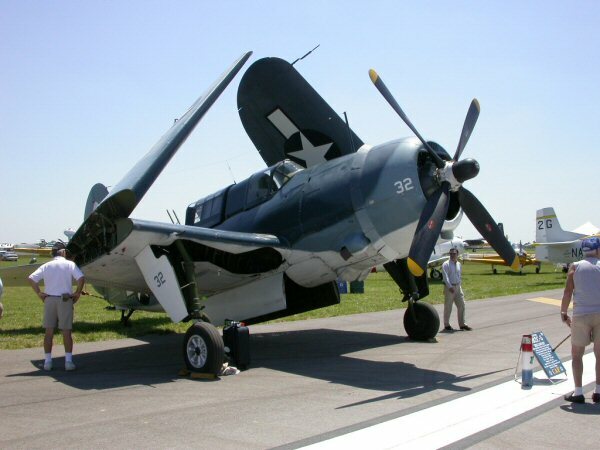 There were 880 modifications to the Helldiver, due to design problems and US Navy requirements. Curtiss shouldn’t be blamed entirely for all its shortcomings and the Helldiver wasn’t the only WW II airplane that had problems that took time to correct. The early performance of the Boeing B-17 in combat, delivered to the British, was very disappointing. Allison engines failed often in P-38 Lightnings.2 The P-38 and P-47 Thunderbolt also experienced structural failures in dives from altitude. A massive production program was planned around the SB2C before the first prototype had even flown, but there were already signs of trouble. Wind-tunnel tests had demonstrated that the plane's stalling speed would be unacceptably high. The entire wing was redesigned and the wing area was increased by 10 percent, before the first flight was even attempted. More importantly, the plane demonstrated serious low-speed handling problems for carrier operations. The approach speed for a carrier deck landing was 85 knots, but the ailerons response below 90 knots was poor, making the airplane hard to control at the most critical phase of its flight. The SB2C made its inaugural flight on December 18, 1940 and barely two months later, on February 9, 1941, the prototype crashed on final approach after the engine had quit. The airplane was rebuilt and flight testing resumed on May 6. On December 21, the rebuilt prototype was destroyed in another crash during a high-speed dive, approaching terminal velocity, from 22,000 ft (6,700 m). During pullout, the right wing and tail failed, but the pilot was able to bale out safely. With all the design problems, accidents, and required corrections, this pushed delivery of the first production Helldiver back to June 1942.3 Flight testing continued and in January 1943, the first production SB2C-1 crashed during a dive test, but unfortunately the pilot was killed this time. The main culprit was for the structural failures during dives was compressibility.4 During a dive, as an airplane approaches the sound barrier, shock waves can form on flight control surfaces and cause tail buffeting. Excessive air loads produced on flight controls surfaces can make them either unusable or in some cases, operate in reverse. 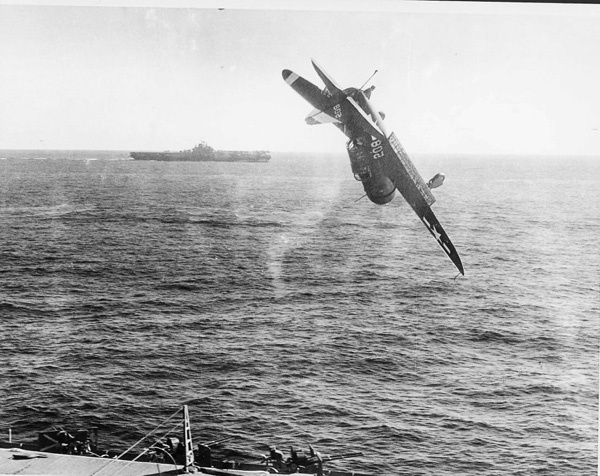 Before compressibility was understood, many fighter pilots were killed during dive maneuvers. Speed can build up extremely fast and the airplane can go into an unrecoverable dive and plow straight into the ground. If the SB2C was meant to remotely resemble the Junkers Ju 87 Stuka, it was far from it. The Stuka was a far more simple design with fixed landing gear and it carried its bombs externally. 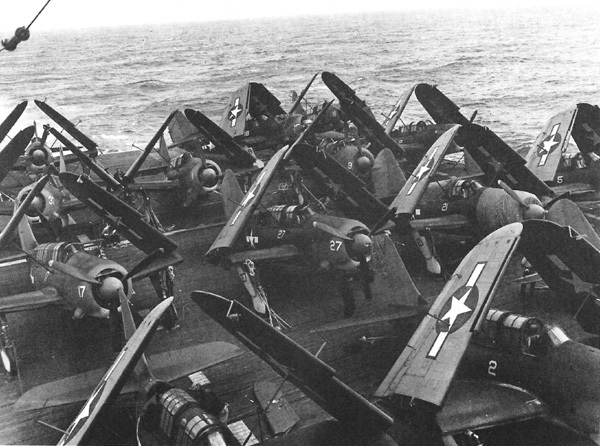 Whereas, the Helldiver was much more complicated airplane with retractable landing gear, that had to be strong enough to make carrier landings. It had an internal bomb bay and also had a more powerful engine and was faster overall. It was much heavier than the Stuka, more heavily armed and could routinely carry twice the bomb load. Range was another factor. The Stuka, for the most part was a land bomber with a normal range of 300 miles (500 km). On the other hand, the Helldiver was designed as a long-range bomber to be operated in the Pacific and had a range of more than 1,100 miles (1,800 km). 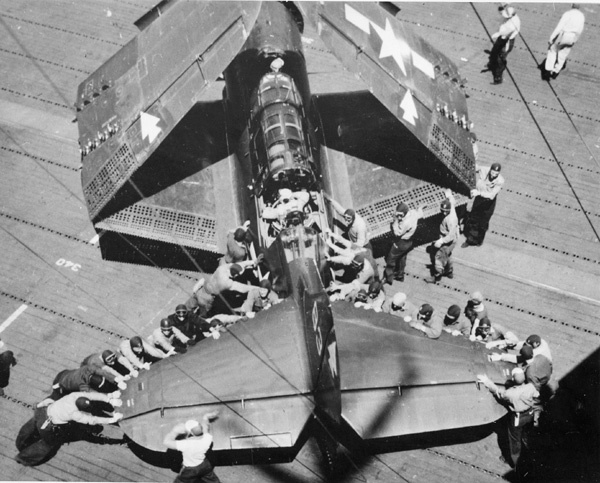 Another problem faced by Curtiss was that its airplane was restricted in size, in order to fulfill the Navy's requirement to fit two airplanes onto an aircraft carrier’s elevator, which was limited to 40 by 48 feet. This required folding wings and restricted the length, which contributed to longitudinal stability problems. To correct this problem, the tail section was enlarged and it was joked that the rudder was big enough to steer a battleship. Unlike the Stuka however, the Helldiver had better armor protection for the pilot as well as self-sealing tanks. Stukas were much more vulnerable when fired upon, whereas the Helldiver was more likely to return home, even with severe battle damage. Delays marred its production—by the time the A-25 Shrike variant for the USAAF was deployed in late 1943, the Army Air Forces no longer had a need for a dive bomber. Horizontal bombing was becoming more accurate and also the army suffered a great loss of A-24 Banshees on July 29, 1942. Seven A-24s were sent on a bombing mission to Buna, New Guinea, without top cover, and were intercepted by A6M Zeros—only one survived.6 Another factor also hampered its service introductions—due to the poor handling of the aircraft both the British Royal Navy and the Royal Australian Air Force cancelled substantial orders. 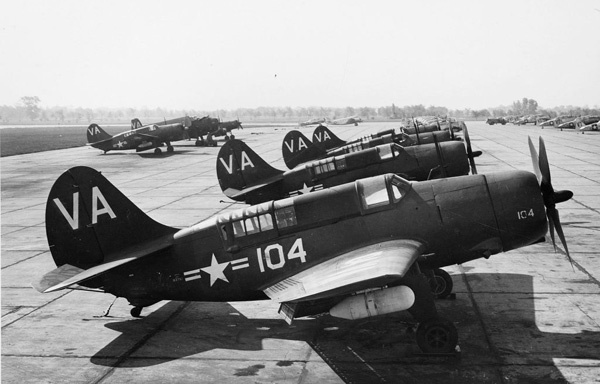 Earlier in April 1942, VB-4 and VB-6 were reissued SBDs in order to meet their combat schedule. Although it was designed in 1938, it was not until June 1942 that the first of over 7,140 production models rolled off the assembly line with the initial fleet delivery to Scout Squadron VS-9 the following December. On November 11, 1943, VB-17 flying SB2C-1s from the deck of the USS Bunker Hill, performed well in strikes against Japanese targets at Rabaul. In the raid on Rabaul, a carrier-based squadron of Helldivers sank two cruisers and a destroyer. During carrier raids on Truk, the same squadron sank 176,000 tons of Japanese shipping in 36 hours with the loss of only one plane to enemy action. In June 1944, during the Battle of the Philippine Sea, the early generation SB2C-2 Helldiver really got a bad rap. Only five of fifty SB2Cs returned safely from an attack against the Japanese Fleet during the first battle. However, the majority wound up ditching in the sea for lack of fuel. Whereas, of the SBDs participating in the same attack, only two failed to return safely—one to enemy fire and the other crashed on landing. The SB2C construction was a two-seat, single-engine monoplane with an internal bay capable of carrying 1,000 pounds of bombs and folding wings to facilitate storage aboard an aircraft carrier. Perforated split flaps were used to decrease buffeting and the flaps were rigged so the upper half was locked out the flaps would only go down on landing. The SB2C-1C was powered with a 1,500 hp (1,120 kW) Wright Twin Cyclone R-2600-8 engine, driving a three-blade Curtiss Electric propeller. SB2C-3s appeared with an upgraded 1,900 hp (1,415 kW) R-2600-20 driving a four-blade Curtiss Electric propeller. The -3 and the improved SB2C-4 equipped the majority of U.S. Navy squadrons during the war in the Pacific with production numbering 3,157 aircraft combined. The SB2C-5 was the last major variant in the series. It was an improved version of the SB2C-4 with increased fuel capacity of an additional thirty-five gallons, a frameless pilot’s canopy, tail hook fixed in the extended position, and deletion of the propeller spinner. Most carried the APS-4 radar system as standard equipment. SB2C-5s entered production in February 1945, which was too late to see widespread service before the end of World War II, with final delivery in October. Total deliveries of SB2C-5s numbered 970 aircraft. Two XB2C-6 prototypes were built powered by Pratt & Whitney R-2800-28 engines, but the type never went into production.7 The Helldiver was the last significant combat aircraft produced by the Curtiss-Wright Corporation. The total production of aircraft was 7,140 aircraft. Other operators also included Australia, France, Greece, Italy, Portugal, Thailand and the United Kingdom and served into the 1950s. Armament in the SB2C-1 included a 20 mm cannon in each wing, four rocket rails under each wing, and the capability to operate an APS-4 airborne radar system. In time, the Helldiver proved to be very formidable weapon and was able to carry a greater ordnance payload than her predecessor, the SBD Dauntless. But it would not be until the arrival of the SB2C-4 that the system would finally reach full maturity. As the war progressed, with improving American air superiority, attack coordination, and more veteran pilots, Helldivers were able to play vital roles in subsequent battles against the Imperial Japanese Navy. The scout and dive bomber role, however, waned over the course of the war when the carrier air groups utilized faster and more capable Grumman F6F Hellcat and Vought F4U Corsair fighters in the fighter-bomber role and air-to-ground rockets offered increased accuracy. New bombs sites increased the accuracy of horizontal bombing, matching the precision of the dive-bomber. Moreover, the Grumman TBF Avenger was as capable as a level bomber as it was a torpedo bomber. Nevertheless, bombing squadrons aboard Essex, Shangri-La, Wasp, Ticonderoga, Yorktown, and Lexington filled a niche as they flew some of the last combat missions of the war during the summer of 1945. 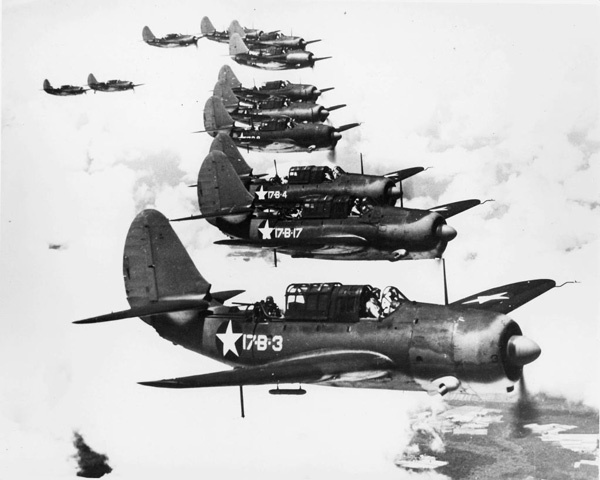 Approximately thirty Navy squadrons operated Helldivers aboard thirteen different carriers during World War II. The U.S. Navy and Naval Reserve continued to operate Helldivers into the early Cold War era with the final aircraft stricken from the active inventory by June 1949. 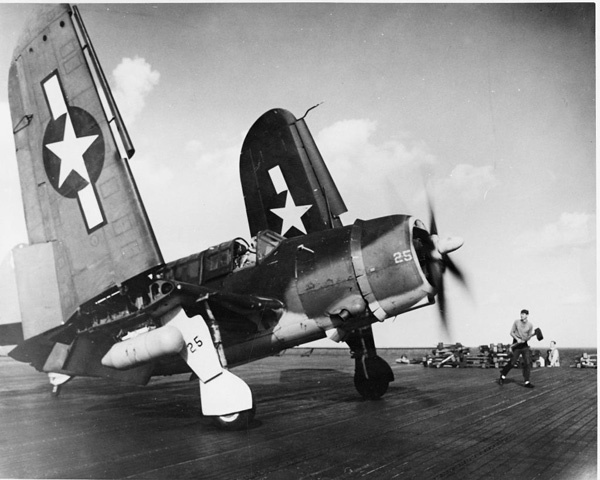 While the Helldiver was not one of the most memorable planes of the war, it was still a good airplane, but this criticism is not exclusive to the Helldiver. The Brewster Buffalo failed miserably during the early stages of World War II, but was a success in Finland against the Russians. The Bell P-39 Airacobra wasn’t suitable as a high-altitude fighter in Europe, but succeeded on the Russian Front where most engagements against German fighters were below 15,000 ft.8 Stukas performed with great success during the early German Blitzkrieg but were cannon fodder for Supermarine Spitfires and Hawker Hurricanes during the Battle of Britain. And while the Douglas Dauntless was the hero of the Battle of Midway, it didn’t perform as well for the Army when fighter top cover wasn’t provided. 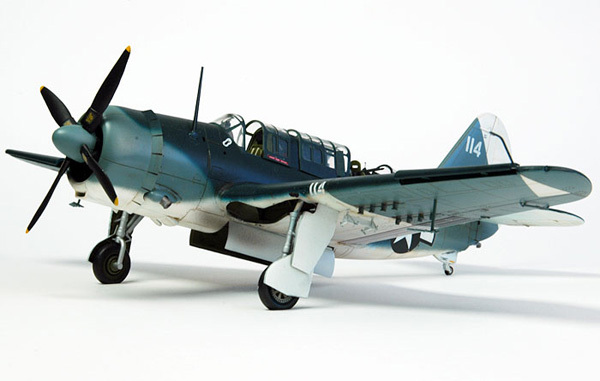 The Curtiss SB2C Helldiver has a mixed record depending on the model, the time period and who you talk to. While it had a shaky start in the beginning and it maybe it wasn't pleasant to look at, one still has to admit, in the end it got the job done. One 1,900 hp (1,417 kW) Wright R-2600-20 14-cylinder radial engine. Two 20 mm cannon in the wings, two rear cockpit 0.30 caliber machine guns. 500 lb (225 kg) of bombs on each underwing hardpoint. 1. Peter M. Bowers. Curtiss Aircraft, 1907 - 1947. Annapolis, Maryland: Naval Institute Press, 1987. 416. 2. Martin Caidin. Fork-Tailed Devil: The P-38. New York: Ballantine Books, 1976. 154. 3. David Mondey. The Concise Guide to American Aircraft of World War II. New York: Smithmark Publishers, 1996. 90. 4. Harold Andrews. Aircraft in Profile; Volume 6, The Curtiss SB2C-1 Helldiver. Garden City, New York: Doubleday & Company, Inc., 1970. 63. 5. Investigation of the National Defense Program, Additional Report of the Special Committee Investigating the National Defense Program. S. Res. 71. July 7, 1943. 7. Murray Rubenstein & Richard M. Goldman. To Join with the Eagles. Garden City, New York: Doubleday & Company, Inc., 1974. 187. 8. Dmitriy Loza. Attack of the Airacobras. Lawrence, Kansas: University Press of Kansas, 2002. 217. Created January 26, 2014. Updated November 23, 2014.